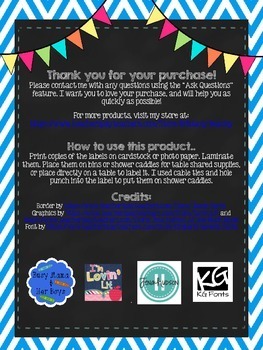 These adorable labels are perfect to put on shower caddies or bins full of each tables supplies! 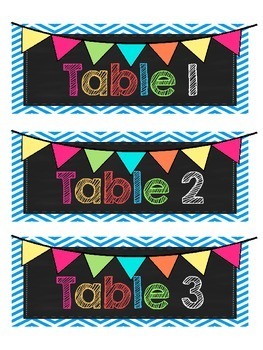 They also work to place directly on a table. There are 9 table labels included. 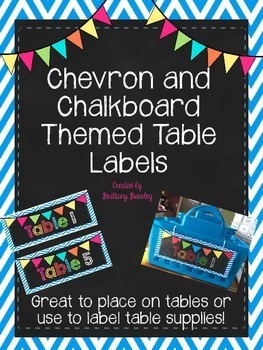 Perfect for those chevron and chalkboard themed classrooms!